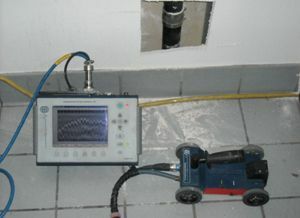 Ground Penetrating Radar Systems uses Ground Penetrating Radar (sometimes called Ground Sonar) to locate rebar and Post-Tension cables in a concrete slab. GPR is a great way to X-Ray concrete in Denver because it uses no radiation and only requires access to one side of the slab. While on site JASII inquired if GPRS was able to find a copper pipe within a different concrete slab. 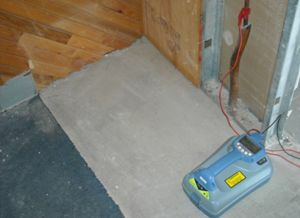 Besides GPR technology GPRS also uses Radio Detection to locate items within concrete in Denver. The technician on site was able to clamp on to a visible portion of the copper pipe and trace its location throughout the floor. Jason Schaff runs GPRS operations in the Denver, Colorado area. 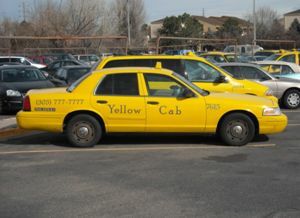 This Denver office is also able to do concrete surveys in other cities in Colorado such as- Westminster, Boulder, Greenwood Village, Castle Rock, Greeley, Longmont and Littleton. Jason can be reached by phone at (303) 945-5415 or by email at jason.schaff@gp-radar.com.